Textured Finishes Westbury's textured finishes are a step above typical powder-coated finishes. The fine texture of the White, Black, Bronze and Speckled Walnut finishes is durable and attractive. Sleek Brackets Whether standard, stair, angled or swivel, Westbury brackets are low-profile and conceal any less-than-perfect end cuts. Fascia Posts Don't sacrifice space on your deck surface! 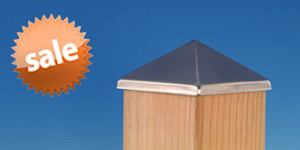 Install fascia posts to get the most out of your deck or balcony. To give you a better idea of what Westbury Tuscany Aluminum Railing costs, we've assembled a few sample deck projects with pricing. Please note, pricing may vary based on your specific project. For a custom quote, visit our Railing Quote page. 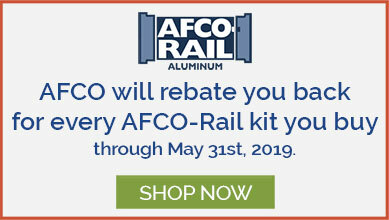 Free Shipping Westbury Aluminum Railing ships free on orders of $299 or more. Smaller items like post caps and post skirts ship free on orders of $49 or more. See specific product pages for details. Freight Shipping Most items can ship via FedEx or UPS. 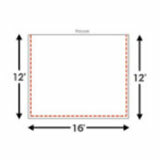 For larger orders or orders with items longer than 8 feet it may be more effective to ship via common carrier (LTL/freight truck). 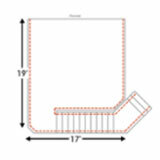 Availability Westbury Aluminum Railing generally ships the same day you order. 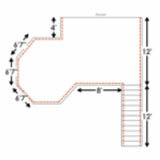 Certain Westbury Aluminum Railing products are special order items and generally ship within 2-3 weeks. See specific product page for details. Not sure what color to choose? DecksDirect is happy to send out color samples of Westbury Aluminum Railing. Just give us a call toll-free at 1-888-824-5316, or click here to order online. 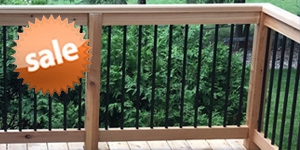 If you are in the Twin Cities area, stop by to and take a look at our deck railing displays. Give us a call at 952-746-7561 or just stop by 7am-5pm CST - Monday through Friday. Learn more about our location. Lighting Options Magena Star Mini Vega LED Light - A compact LED light that fits on a 2" post and perfectly matches the Tuscany textured finishes. Kichler Louvered Down Light - The slim design of this light works great with Westbury 2" or 4" posts. The Textured White finish blends well with Westbury's White Fine Texture finish. Trex LED Rail Light - This mini light is 2-3/4" wide and fits perfectly on a Westbury 4" post. The Charcoal Black and Classic White finishes blend with Westbury's textured finishes. Dekor Premium Cast LED Post Cap Light - This post cap light fits the 4" post like a glove and the Antique Metal Black finish is a great match for Westbury's Black Fine Texture finish. Fortress Accents LED Lights - Choose the Black Sand color in these lights to coordinate with Westbury Black Fine Texture finish. Choose from a Rail Light, Post Cap Lights, Universal Light, and Step Lights. 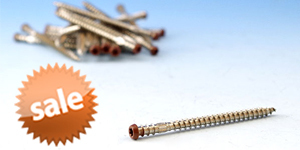 Saltwater Yes - Stainless steel mounting hardware is recommended. When cleaning guidelines are followed, the Lifetime Limited Warranty will not be voided for coastal environment installations. Download the Westbury Aluminum Railing installation guide below and gain the know-how to get the job done. If you’re still feeling a bit overwhelmed, contact us at 1-888-824-5316 or hello@decksdirect.com. Westbury Aluminum Railing combines beauty, strength, and engineering – the outcome is a durable, easy to install railing system that enhances the visual appeal of your deck or porch. DecksDirect is featuring the Tuscany Series Aluminum Railing in three textured finishes: black, bronze, and white.